TEHRAN,Oct. 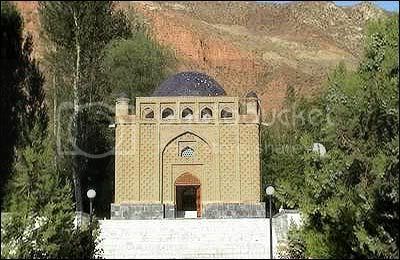 5 (Mehr News Agency) -- Iranian experts have begun the restoration process of the mausoleum of Rudaki in Panjrud near Dushanbe, Tajikistan. A group of expert tile craftsmen from Neyshabur Cultural Heritage, Tourism and Handicrafts Department will complete the restoration and renovation process of the mausoleum within a month. The tomb was constructed on an octagon plane with a rotary dome representing the architectural style of Attar's mausoleum in Neyshabur, Khorasan Razavi Province. The dome covering an area of 100 square meters will be covered with turquoise-colored tiles in the planetarium style. 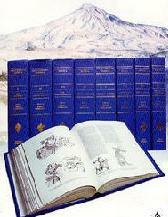 Born in the village of Rudak (Panjrud) in Khorasan, now located in present-day Tajikistan, Rudaki was the first great literary genius of the modern Persian language who composed poetry in "New Persian," which is written in the Perso-Arabic alphabet script. Most of his biographers assert that he was totally blind, but his accurate knowledge of colors shown in his poems makes this very doubtful. 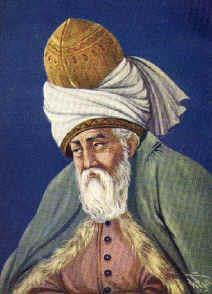 Of the 1,300,000 verses attributed to him, only 52 elegies, ghazals and quatrains remain. Following up on the police riot at Balkh University on September 25th, the students went on hunger strike today. 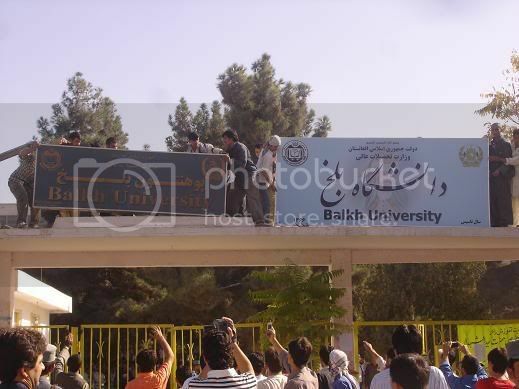 The police assault happened when a group of students placed a banner on the university gate that said “Danishgah e Balkh” which translates to “Balkh University” in English. Students claimed that it is their right to have the sign in Persian and Pashtu, because both are official languages according to the constitution. They added if it’s an accurate democratic state then people should perform their civil rights devoid of any problems. Since Balkh is a Persian-speaking province, students insisted the banner should not be in Pashtu or at least it has to be written in two languages. But suddenly police forces surrounded the building and started beating up the students with weapons, which injured 42 boys, two disappeared and then Police crowded into students dormitory kicked the entire apprentice and arrested many of them. Today September 28th university students protested and announced their hunger strike and demanded that the University sign should be in Persian also because it is the tongue of the majority. 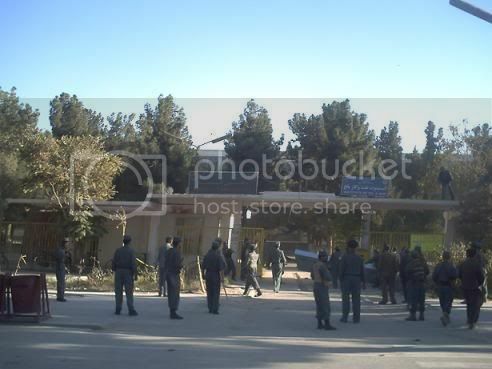 More than a hundred police forces have attacked university students in northern Mazar-e Sharif city today detaining a number of them on charges of hanging a Persian/Dari banner on the gate of the university. Police have also raided the hostel of the university and forced out students from their rooms. “I was on duty, washing dishes and preparing meal for other roommates that some policemen entered our room with weapons, hitting me with guns forced me out of my room and then out of the university campus,” says a 24-year-old student of economy faculty, who did not wish to be named. The hostel of the university is inside the university campus and all the students in the hostel were forced out of the campus by police. “I have lost my mobile and so did many other roommates and they have broken out computers,” says another university student who was among the crowd of students outside the campus of the university. THE MINISTER of foreign affairs, Dr Rangin Spanta, has said Afghanistan will continue its economic, cultural, political and regional co-operation with Tajikistan and Iran. Spanta said at a conference in Tajikistan’s capital Dushanbe on Saturday that the three countries had agreed to continue co-operating with each other on issues of mutual interest, including drug smuggling and "terrorism". The foreign ministers from the three countries also agreed in principle to a television channel that would for the first time feature programmes and news from all three countries. 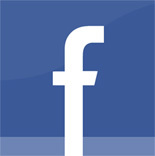 The station would be based in Dushanbe, Spanta said. The foreign ministers also discussed building roads and railways between the three countries. Remote region seething with discontent, which some fear could translate into political instability if the underlying causes are left unaddressed. A standoff between locals in the remote province of Badakhshan and the Tajik government has been resolved for now at least, but it highlights growing levels of social discontent in this underdeveloped part of the country. Analysts say local concerns need to be urgently addressed by central government to prevent them growing into a political confrontation. Three days of demonstrations began when around 300 people gathered on June 18 in the regional centre Khorog. The numbers swelled as the rally continued over the next two days. The immediate cause of the protests was the arrival of a contingent of 1,200 troops sent into the region by the government in Dushanbe. Officials said soldiers and armoured personnel carriers had been deployed to beef up the porous border with Afghanistan and curb the trafficking of drugs brought in from that country.